Start This Classic Western Series for only 99c! Ron Schwab is the author of Sioux Sunrise, Paint the Hills Red, Medicine Wheel, Night of the Coyote, and Last Will, the latter two of which were nominated for Best Novel Peacemaker Awards by Western Fictioneers. 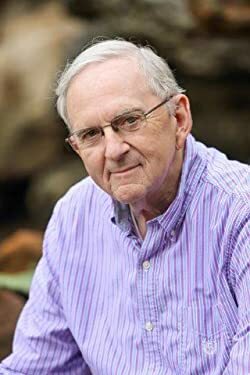 He is a member of the Western Writers of America, Western Fictioneers, and Mystery Writers of America. Ron and his wife, Bev, divide their time between their home in Fairbury, Nebraska and their cabin in the Kansas Flint Hills. To learn more about Ron and his books, please visit www.RonSchwabBooks.com. "There are other lawyers in New Mexico," Josh said. "But not many that would know about hunting for a girl among the Comanche," Levi replied. And so after several long years of trying to put the past behind him, Josh Rivers finds himself intertwined in a case that has him leaving the comforts of his life in Santa Fe for the desolation of the Staked Plains. In his quest to find a young woman abducted by the Comanche, Josh must confront the horrors of his past, as well as pull off the diplomatic high-wire act of negotiating with the Comanche and their great war chief, Quanah Parker. 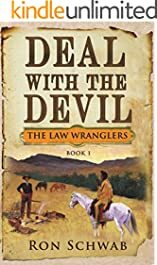 Set amidst the Texas-Indian wars, high-octane action, adventure, and intrigue abound in Deal with the Devil, the first book of The Law Wranglers series. As tensions continue to escalate between the U. S. Army and the Comanche, members of the Rivers family find themselves involved on multiple fronts of the "Red River War." Josh Rivers discovers his efforts to covertly negotiate on behalf of his newest client have been exposed, and now he finds himself looking over his shoulder, even in the relative safety of Santa Fe. Meanwhile, his journalist sister, Tabitha, is embedded with Colonel Ranald "Bad Hand" Mackenzie's forces on the eve of battle. What begins as a ploy to sell more newspapers, quickly spirals into a series of life-changing events as the opposing sides converge in the Texas Panhandle. 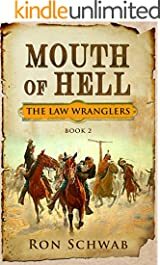 In Mouth of Hell, the second book of The Law Wranglers series, the unexpected paths that each take lead to a long sought after answer for the Rivers family. Set amidst the last days of the Comanche wars, The Last Hunt continues the story of the Rivers family, whose fates are intertwined with the Comanche—and their great war chief, Quanah Parker—both personally and professionally. The decisions Quanah makes as the conflict nears its end will have a far-reaching effect beyond his Comanche nation, and the long-brewing showdown for Josh to reclaim his kidnapped son reaches its conclusion. 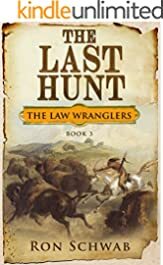 In The Last Hunt, the third book of The Law Wranglers series, the stakes are high, and unexpected parties must forge paths of trust, friendship, and forgiveness in building their lives for the future. The murder of a prominent member of Santa Fe society brings a high profile criminal defense client to the Rivers & Sinclair law firm, but will Josh Rivers's history with both the victim and suspect make for an untenable attorney-client relationship? And what will the collateral damage be to those trying to seek the truth to what really happened on the night of the murder? As the story unfolds beyond the city of Santa Fe into the mountains north, the uncovering of long held secrets of the Rivers family unexpectedly intersects with the investigation, providing mystery on more fronts than any expected. 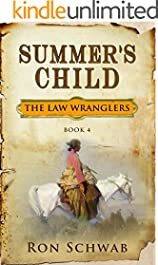 The fourth entry in The Law Wranglers series, Summer's Child will thrill readers of the first three books while also providing an entry point for new readers of the popular Western series.